In this speech at the University of Sussex last May, Sunder Katwala looks at the sharp decline in racism in British society, and sets out why attempts to label UKIP as a racist party will fail. Thank you for inviting me to speak at your conference on racism and belonging in Britain today. British Future is a non-partisan think-tank, addressing issues of identity and integration, immigration and opportunity. We want to contribute to a Britain which is confident and welcoming, inclusive and fair to everyone. That is not yet the country we live in today. So we are particularly interested to engage with those who are anxious about Britain today, not just with those who are already confident about the society that we have become. So we have chosen to address those issues which have most potential to polarise and divide our society, seeking constructive responses where people come together to shape a future that we can share. Today, I want to look at how we entrench and deepen the anti-prejudice norms in British society. We can, I will argue, be robustly confident about defending and extending hard-won majority norms against racism and prejudice, as long as we understand the importance of doing so in a way which chimes with most people: an essential test of whether we are securing majority norms of democratic discourse. Our own life experiences will always shape how we feel about race, identity and belonging. That also explains why those, often at different poles of the debate, can struggle to understand why not everybody sees the world as they do. Today, I want to step back and ask what we can learn from the broad shape of public attitudes. So what is the state of identity, belonging and racism in Britain today? Pick up any newspaper and you will read about identities in flux. How diverse will we be by 2030? Are we still a Christian country? Will Scotland vote to break up the UK? Will Britain leave Europe? What is UKIP all about? It is important to engage with our contemporary anxieties. But, first, I want to challenge our often fearful zeitgeist, and to speak up for optimism. Here are three big reasons to be confident about our multi-ethnic society, and our ability to forge an inclusive and shared future. What’s the good news about race and belonging in Britain today? (1) First of all, less racism. There has been a sharp decline in racism in British society – especially a dramatic collapse in levels of racial prejudice across the generations. In 1993, 44% of Britons said they would be uncomfortable were their children to marry across ethnic lines. Today, inter-ethnic marriage concerns just 15% of Britons, falling to just 5% of those under-24. Britain today is almost certainly a country in which there is less racial prejudice than at any previous point in our long history. The age of Empires was, after all, bound to involve a generally held assumption about racial superiority. Each wave of post-war immigration, from the Commonwealth and beyond, was certainly greeted and debated anxiously, yet also brought about increased inter-ethnic contact in our society. Ultimately, the most powerful result of more inter-ethnic contact has not been an increase in racial conflict or tension, but rather to dissolve assumptions of racial hierarchy and to significantly reduce levels of prejudice over the last generation. Of course, racism has not disappeared. Prejudice towards particular ‘pariah’ groups – particularly British Muslims, and Roma and traveller communities – still present tougher challenges. British identity became much more inclusive during my lifetime. My father arrived at Heathrow airport in 1968, to look for work as a newly trained doctor from India just a fortnight after Enoch Powell had made his most famous, or infamous, speech. Enoch’s central point was that people like me – British-born to migrant parents – would never really be British. “It is in the very nature of things that they will have lost one country without gaining another”, said Enoch. Enoch was wrong about that. Not only because non-white Britons feel strongly British. Indeed, more strongly British, as major studies consistently show. Just as importantly, because an overwhelming majority of white Britons agree too that we are equally British – though a minority racist rump, of around one in 10 people, still disagree. At the same time, levels of both local and national belonging more generally have increased, not decreased, over the last decade. Nine out of 10 of us say that, where we live, people from different backgrounds get on well. (3) Thirdly, more equal opportunities and outcomes. There has been some important progress in closing some key racial inequality gaps. Education is particularly striking. Non-white Britons are more likely to hold degrees, and less likely to have no qualifications, than their white British counterparts, as a result of rapid progress over the last 20 years. This is important progress which anti-racists should be proud of having campaigned for and contributed to. Undoubtedly, there is much more to do, to tackle prejudice and discrimination, and to secure equal opportunity. What I think we rarely notice is that the anxieties we face today are also, in part at least, the product of some of the progress that we have made. Dig into my three reasons to be hopeful, and each illuminates new and shifting challenges on racism, identity and belonging. (1) The welcome collapse of prejudice across generations sees an increasing polarisation in cultural attitudes by age. (2) As the ethnic minorities embrace Britishness, why is English identity rising among the white population? (3) As some race inequality gaps narrow and close, the pattern of opportunity and disadvantage will be more complex than ever before. The generation shift: how can we unlock the future? Age has now emerged as more important than social class in predicting cultural attitudes, to race, to immigration, to Islam in British society. Younger generations are mostly pretty comfortable with Britain’s diversity. After all, they grew up with it. So it was always normal to them. Yet their grandparents are considerably more unsettled by the pace with which they have seen Britain change in their adult lifetimes. If you want to understand the populist political phenomenon of UKIP, this generational chasm in attitudes is probably the most important place to start, as the authoritative recent study of UKIP, by the academics Rob Ford and Matthew Goodwin, sets out. But both these most unsettled ‘left behind’ groups and the youngest liberal cohorts represent minority attitudes in our society. So those of us who would like to “unlock the future” of the increasing liberal tolerance of Britain’s generational shift on race, culture and identity need to engage constructively with those who feel more unsettled by the pace of social change. An important challenge, amidst the general fall in prejudice levels, are tougher attitudes towards British Muslims in particular. The picture is worrying, though it is a mixed one. People agree strongly that most British Muslims are good British citizens. Yet at the same time a majority still doubt that Islam is compatible with the British way of life. There is also widespread public awareness of the scale of anti-Muslim prejudice. Asked by British Future to say which ethnic and faith groups face prejudice in Britain today, 53% of Britons said that British Muslims face “a lot” of prejudice in Britain today, and over seven out of 10 acknowledge prejudice against Muslims. There was much higher perceived prejudice against Muslims than for any of the other large ethnic or faith groups. In this 2013 study, perceptions of prejudice levels against Muslims in Britain today were strikingly similar to the perception of levels of prejudice against black and Asian Britons in the early 1990s. That shows both that we have quite a long way to travel, but also that it is a journey we are capable of making, especially as there is again a significant generational divide, with younger Britons much less likely to hold hostile attitudes towards Muslims. The Transatlantic Trends comparative study also found that Britain stands out, in a European context, in being more confident that the children of immigrants are integrating well. Seventy-two percent in Britain are confident that the children of immigrants are integrating well, with 67% saying this for the children of Muslim immigrants in particular. Identity shifts: civic nationhood or an ethnic divide? This conference’s call for papers reminds us of the Parekh report’s claim of Britishness’ “systematic, largely unspoken, racial connotations.” This sparked a heated and polarized debate. I felt, at the time, there was at least a faint echo of that old NF slogan, there ain’t no black in the Union Jack, a nagging fear among the finest multiculturalist minds about how far that NF claim might resonate. Yet the 2011 census tells a striking story. Seven out of 10 Britons from ethnic minority backgrounds declared themselves to be British, while only three out of 10 white respondents did so. Could Britishness have come full circle in a generation, arriving at a counter-intuitive destination where there might only be black in the Union Jack, where ethnic minorities are the last Britons left? If we look at faith and national identity, British was the choice of 57% of Muslims, along with just 15% of Christians, as the University of Manchester’s census briefings show. Taken at face value, the census results suggest that Britishness is clearly now a majority identity among minorities, but only a minority identity among the white majority. We would not have a shared sense of identity if the embrace of a civic, multi-ethnic identity triggered majority ‘white flight’ from it. But I am not persuaded that the census tells us the full story. Nine out of 10 people just ticked one box. Box-ticking fatigue does kick in when out comes a census form. The census missed out the nuances: the multiple identities that most of us hold in our multi-national polity. Only 15% of the over 65s chose ‘British’ in the census. The recent BSA data showed that two-thirds said they were ‘very proud’ to be British. Overall, 82% of people were either ‘very’ or ‘somewhat’ proud to be British. 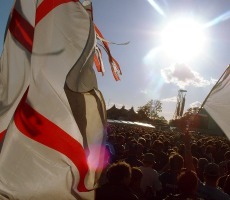 So Englishness is certainly growing – and should have a strong place in a multinational Britain – but the demise of British identity among the white British can be considerably exaggerated. Another largely untold story is the gradual and generational rise of non-white Englishness. The first generations of post-war migrants felt that they were invited to be British, but did not feel Englishness was open to them too. Gradually, majorities of the English-born children and grandchildren are becoming more confident in their claim to be English as well as British. So IPPR’s Future of England survey finds 62% of the non-white respondents say that they were proud to be English. Three-quarters of white and non-white Britons no longer regard Englishness as an ethnically defined identity. We have long seen that to be true on the sporting field, but have done very little to take an inclusive English identity out of the stadium, and to show that it can become an identity open to everybody who feels they belong to the England we have become. Campaigners on broader socio-economic and race inequalities also face a more complex pattern of opportunity and disadvantage than ever before. Ethnic minorities today are both more likely to be university graduates – and more likely to be unemployed too. As Policy Exchange’s new report ‘A Portrait of Modern Britain’ has set out, there are several important differences in experience between different groups, and within them too, by class and education. This certainly doesn’t mean that race inequalities don’t matter – but it does suggest that more specific strategies may often be necessary. One possible scenario is a general shift towards greater educational and socio-economic convergence, but there’s a need to focus on two quite distinct sets of challenges. Firstly, the areas where racial inequalities remain at their starkest. It is important to identify both the specific groups who are most vulnerable to being left behind – and strategies for practical change in key areas, notably unemployment, mental health, policing and criminal justice, where unequal outcomes are most troubling. Secondly, the sites of economic, political and cultural power at the very top of our society. “The problems of equality and opportunity at the top of the tree sometimes get overlooked,” as Shamit Saggar has recently argued. Why haven’t increased levels of education and social capital brought about more rapid change? Why isn’t the acceleration of progress in politics reflected in the media? Why do FTSE 100 companies quite often bring in ethnic minority CEOs as highly skilled migrants from abroad, yet have such a weak track record in seeing British minority talent reach the top? While my focus today is on questions of identity, fair opportunities are an essential part, across all majority and minority groups, of fostering people’s feelings to our society. Britain can certainly be an anxious country. We are a less racist society – and we are more worried about immigration. Most think that people get in our local areas – but are anxious about the state of the nation. The vast majority accept that we’re a multi-ethnic society of many faiths today – but more worry about whether British Muslim integration will work out well. Does this show that claims of progress against racism are simply a chimera – and that old prejudices have simply found new targets? Or could we learn from past progress for the challenges ahead? Hope Not Hate produced an excellent analysis, ‘Fear and Hope’, which I think helps to navigate and understand the challenges of identity and belonging in Britain today. About a quarter of people hold strongly liberal views, which extend well beyond rejecting racism. This liberal minority are pro-diversity and confident about the pace of change. They are certain they would vote to stay in the EU. They believe immigration brings enough positive benefits to be keen to maintain the high levels of immigration we have in Britain today. If you went to university (or teach at one), and live and work in London, then you are more likely to be in this cosmopolitan tribe. Another quarter of the population think that all sounds pretty close to utter madness – sometimes holding the liberal group responsible for everything that they think has gone wrong with Britain today. This includes the racist rump of one in 10, who still support biological racism, and deny that non-white Britons can be equally British. But the political projects dominated by this group are defunct and dying. By contrast, the larger minority (of 15%) described by Hope Not Hate as “latently hostile”, still have an important political impact. This group rejects the ‘old racism’ as wrong. They are not just deeply unsettled by the pace of change, but often animated by the politics of grievance. This group doesn’t just want migration reduced; they want to shut the border. UKIP’s ‘Party of No’ messages are often pitch perfect for this group, which forms the base of the UKIP vote, though the party can have a broader appeal, especially in European elections. It is striking how many of our public debates can get stuck in this polarisation. Open versus closed, as in the Clegg versus Farage televised debates. Yet the most interesting conclusion of the Hope Not Hate report is that the majority of the population is in neither the liberal nor the anti-liberal minorities, but in the anxious broad centre of public opinion. For one half of the anxious middle, the deal-breaker is economic insecurity: are there fair opportunities for me and my children? For one half of the anxious middle, the deal-breaker is cultural identity. Is Britain still Britain? Will we have a shared society, or a segregated, fearful and divided one? My core argument is that an effective anti-racist project must secure strong majority support, ensuring it engages these middle groups, so that it can extend and entrench anti-prejudice norms. It is by engaging legitimate anxieties, held by people who can be shown to be in the market for workable solutions that bring people together, that illegitimate and prejudiced views can be isolated and marginalised. By contrast, arguments which resonate only with the minority liberal quarter cannot do this. They are unable to protect broad social norms – for the simple reason that they do not have sufficient reach. Choosing to polarise debates from a liberal minority position can run serious risks of damaging anti-prejudice norms, rather than protecting them. This may marginalise not the claim being attacked, but the liberal challenge to it, particularly by alienating the persuadable centre of public opinion. In Britain in 2014, the attitudinal evidence suggests that the median citizen is a pretty good judge of core racism and anti-prejudice norms. Campaigners can work to extend norms over time, but that will be persuasive by engaging people. Shouting racist when the case is unclear, where the validity of the label is being contested not by rejectionist opinion, but by the moderate centre-ground of public opinion, will very rarely persuade beyond the already converted. A practical example of this challenge has come in how to address the UKIP insurgency. There have been one or two calls to brand UKIP a ‘racist’ party, and there has been some media debate about that. What’s become clear during the last fortnight is that there is a strong and broad cross-party consensus: both that UKIP isn’t a racist party – and that is must get better at calling out and keeping out individuals that hold racist views. It has been clear from political debates on this issue that this broad consensus clearly extends across the front and backbenches of the different parties, with just one or two MPs taking an alternative view so far. For example, on the Question Time programme, Lib Dem Tim Farron, Labour’s Yvette Cooper and Conservative MPs like Conor Burns all made this distinction between individuals. Labour left-winger Diane Abbott told the BBC that she did not regard UKIP as racist but saw it as having US ‘tea party’ tendencies. There are good reasons why the general public, the media and his political rivals treat Nigel Farage differently to Nick Griffin. UKIP was founded to get Britain out of Europe, a legitimate cause for us to debate, and decide about. It is not a party with extremist roots. But an anti-EU party which campaigns to end EU free movement will attract both legitimate voices, and those who have more virulent and toxic motives. A better challenge to prejudice within UKIP would welcome the fact that Nigel Farage does not want to lead a racist and toxic party like the BNP. Since they have attracted some of the same people, UKIP’s willingness and ability to police the boundary seriously becomes a test of Nigel Farage’s leadership and credibility. It is precisely because UKIP is not considered a racist party that it makes sense to call on Nigel Farage to kick racists out of Ukip. Nobody has ever bothered to challenge Nick Griffin to kick racists out of the BNP. What would be the point? There would be nobody left. As the final, fatal demise of the BNP this month will exemplify, Nigel Farage knows that no party which does not accept that black and Asian citizens are equally British will get a hearing in the Britain of 2014. Nigel Farage has promised he’d clean up UKIP’s act. He’s expelled people with extreme views who have been caught, but needs to do much more to keep his promise to properly vet his candidates, so that he gets embarrassed less often. He should also take more responsibility for some of UKIP’s local campaigns that fall on the wrong side of any reasonable democratic debate. Nigel Farage needs to tell all UKIP candidates and local parties that voicing extreme slogans like “no more mosques” is unacceptable – and falls on the wrong side of our British tradition of religious freedom. It gives voice to a prejudice which makes British Muslim integration harder to achieve too. Rather than calling UKIP racist, we should be clear about the boundaries and norms which its claim to be a mainstream party must depend upon. We should be confident about protecting these norms – and about UKIP’s need to adopt them too. After all, if Nigel Farage is serious about his side having a chance in a future EU referendum, he would have to take these challenges seriously. UKIP’s vote is overwhelmingly over-65, strongly male, and 99.5% white. That could win a low turnout European Election – where 15 million General Election voters stay at home – but it looks like a surefire way to lose any EU referendum. As committed Eurosceptics Douglas Carswell MP and Dan Hannan MEP have argued, persuading over half of the British people that we’d be ‘Better Off Out’ would be quite impossible were a campaign to offer nothing but anger and pessimism about what has changed over the last half century. One blogger even recently claimed that Britain’s anti-prejudice norms had retreated 50 years in the past fortnight. This simply isn’t the case. There is no chance of a timewarp back to 1964. This misunderstands both the nature and the scale of the attitudinal shift against racism and prejudice. The reduction in racial prejudice in Britain is not the type of shift that could easily be reversed. Media commentators are particularly prone to overstate the importance of specific news events. In the long-run, prejudice norms are more like values than fluctuating attitudes, as the academic Rob Ford has set out in his study of the long-term decline of prejudice. While it would seem rather more intuitively plausible to worry, for example, that levels of prejudice might rise in harder economic times, there is no evidence that has happened since 2008. The generational shift against prejudice has provided a strong bulwark. That’s why UKIP has had to ditch and expel candidates who have made racist statements – because voicing such views is now repulsive to all but the most extreme fringe of the electorate. At the same time, many potential UKIP voters agree with Nigel Farage’s claim that charges of racism have been used too loosely, too quickly and too often to close down debate about immigration. It is important, therefore, to both make clear that we must talk about immigration – and should do so without prejudice or scaremongering. This is important to securing the broadest possible social coalition for keeping racism out of the public debate. Appeals to xenophobia in UKIP’s language should be countered – and challenged in a way which takes care not to reinforce the conspiracy claim that legitimate debates about immigration are being closed down. Otherwise, shouting UKIP down as racist in a way that doesn’t persuade risks reinforcing one of UKIP’s most effective pitch to their target voters: that issues that need talking about will be swept under the carpet unless they vote for Nigel Farage. 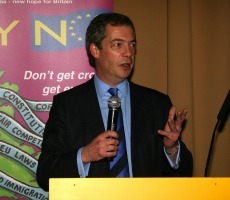 UKIP’s political opponents will, and should, continue to expose extremists within its ranks. They should also realise why this is unlikely to ever be the knock-out blow. What would make most difference would be mainstream political voices showing how anxieties about identity and immigration can be addressed, constructively and fairly, in a way that does not scapegoat people, or stir up tensions and prejudices. So, how should we talk about immigration? And we aren’t even allowed to talk about it – or we’ll get called racist. Often, liberal responses exacerbate the problem. They can engage the liberal minority who are already confident, but without doing anything to broaden that social coalition. An instinct to change the subject – your real concern is jobs and housing – plays into the suspicion that the debate is off limits. On numbers, beginning always with the long history of immigration and diversity can sound like ‘nothing to see here.’ It would be better to acknowledge that Britain has changed, and is changing quite fast in some ways, and that we need to work together to make it. On resources, the common response is to cite facts about positive net contribution. Yet ‘they pay in more than they take out’ – however benign its motives – remains a ‘them and us’ story. In British Future’s deliberative research, across issues of identity, immigration and integration, participants can often be anxious about talking about race at all. Often, in mixed groups, white participants wait for non-white participants to raise more challenging issues, such as integration, and then feel able to contribute to the discussion. Some provide long soliloquies about an Irish or Jewish grandparent, before making a fairly soft point about the value of bringing people together. Mostly, people are looking for common ground, rather than polarisation. Many people feel committed to anti-racist norms, but are not confident that they have a vocabulary to talk about race, identity and integration. They aren’t sure whether its OK to talk about feeling unsettled by the pace of change, or how they can voice a concern about the value of bringing people together. Drew Westen has said of his research into attitudes to demographic change in the United States that it is better to lean into the ambivalence. “Avoid avoidance. Talk openly about race and ethnicity because people’s better angels are their conscious values,” he says. One of the most powerful ways to engage with anxieties about identity is to forge ‘in group’ identities that we can share, whether our families came to Britain from overseas, or have been here for generations. In deliberative research, late last year, on the prospects of Romanian and Bulgarian immigration, participants were uncertain and anxious about the unfamiliar, yet now much more confident about the last wave of migrants, whom they now knew. “We don’t know what this next lot will be like. If they’re like the Poles, it’ll work out OK,” said one Southampton participant. Britons don’t think immigration has been handled well by governments; but only a minority are anti-migrant. By a margin of 52% to 20% people say that the Polish migrants of the last decade have made a positive contribution to Britain. Perhaps this captures the story of Britain today – on a long march away from the old racism; still anxious about change; yet perhaps also that little bit better at integration, once we get to know each other, than we sometimes think. Sunder Katwala is director of British Future. He was speaking at ‘New Racisms: Forms of Belonging in Britain Today’ at the Sussex Centre for Cultural Studies, University of Sussex. The conference was held in partnership with the Demos thinktank. This is addressed to the speaker – and addressed to others advocating continued non-white immigration into UK and Europe. Firstly, how would Indians in India feel if their country was open to immigration floodgates say from Africa, other countries and even hordes of Chinese into India. How would Indians in India feel if 10, 15, 30% of Indians, and especially the women, start marrying into other races (how about large numbers of Indian women marrying blacks and arabs..) “diluting” the Indian blood and drastically changing the culture and traditions of India. I can wager my life such an event would NEVER be allowed by the Indian Government, likewise most other Asian, Arab, African countries. I’m Chinese by the way (living in Asia) and state that advocating this immigration to European countries is in itself EXTREME RACISM and can even be construed as “genocide” of the white race. Talking about mosques – I live in a muslim majority country – one of the most “tolerant” – but it still takes an incredible amount of effort to try to set up a non-islamic place of worship here. How about trying to set up churches or temples in Saudi Arabia, rest of Middle east, Pakistan, Morocco et al? The supposed “economic benefits” of continuous immigration is also highly suspect as this does not take into account culture clashes and cost of having to accommodate every sensitive issue pertaining to immigrants ….. rather than moving on in unison to the next level of human development. Seriously, if immigration is so great, why is UK fast falling into mediocrity vis a vis other countries? What has it produced since the hordes of immigrants arrived except continued export of EPL matches (a white tradition) and mixed celebrities like Lewis Hamilton and Leona Lewis and some runners. Be honest with yourselves and concede that UK was creative when it was homogenous white – producing some ground breaking tech that has immensely benefited the world. White christians created the magnificent cathedrals, châteaus, castles and modern up to 1970s architecture that dot the European countries – not my race, not indians, certainly not muslims and blacks. Now a mixed nation – sorry, even I as a not so smart chinese, look down on the country. Well, if the whites are fool/weak enough to continue allow this (via decades of brainwashing and “white guilt” of their young I might add) then I guess the principle of survival of the most resilient applies – and you may in your lifetime witness the mid-point of the death of whites or onwards to becoming a 1-2% minority world population. BUT if you value diversity in the world, just like you would like to see many species of dogs/animals, then you would want to see a drastic or total halt in immigration of non-whites into Europe.